Un’opera che raccoglie in un unico volume i contributi a carattere linguistico e letterario sparsi in varie annate di "Mondo Ladino" e in altre pubblicazioni, prodotti in quarant'anni di attività da Fabio Chiocchetti, ad oggi direttore dell'Istituto Culturale Ladino. "Materiali di lavoro", dunque, scaturiti dall'urgenza di raccogliere, studiare e rendere accessibili al vasto pubblico tutta una serie testi ladini antichi e moderni, inediti o di difficile reperimento; studi che ora vengono riproposti, riveduti e corretti, in primo luogo a beneficio del mondo della scuola e di coloro cui spetta la trasmissione del nostro patrimonio culturale alle generazioni future. I saggi, parte in italiano, parte in ladino, sono qui disposti grossomodo in ordine cronologico: essi focalizzano l'attenzione essenzialmente sulle testimonianze scritte documentate nel corso dell'Ottocento (Parte Prima), sulla fase dell'impegno "militante" del primo Novecento (Parte Seconda), nonché sulla straordinaria fioritura del secondo Dopoguerra (Parte Terza), giungendo fino a ridosso della contemporaneità. 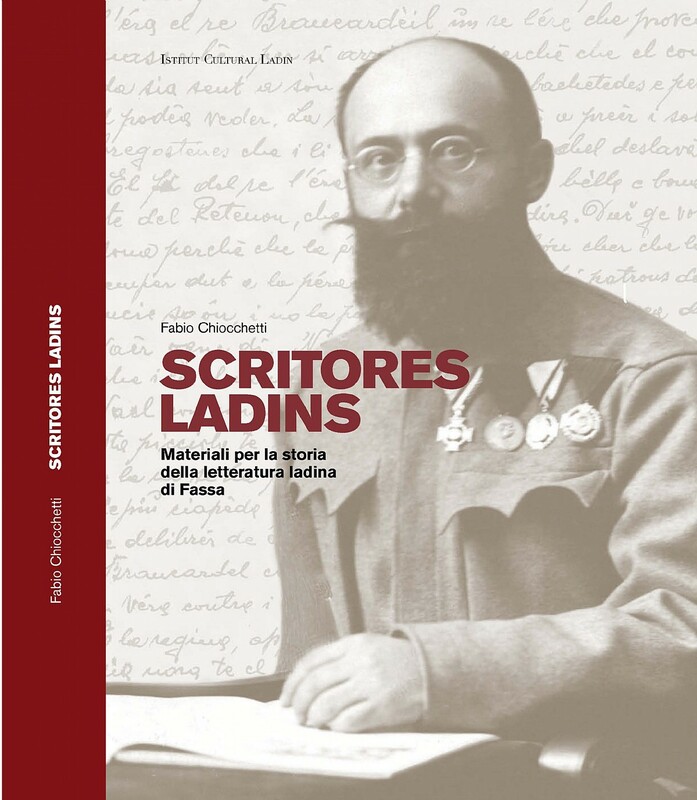 Un libro importante che va ad arricchire il panorama editoriale dedicato alla linguistica e alla letteratura ladina. This book contains some legends published by Karl Felix Wolff in his work Dolomitensagen. If the stories of the "Kingdom of the Fanes", with Dolasilla, Ey de net and Spina de Mul, come from Val Badia and Ampezzo, these were told mainly in Fassa and were collected thanks to informers from Fassa such as Hugo de Rossi, Franz Dantone and Giovanni Battista Cassan. Starting with the saga of Lidsanel, all have more or less to do with the Arimanni, valiant warriors who, according to ancient tradition, had the task of guarding the borders between the Marmolada and the San Pellegrino Pass, to defend the valley from the Trusani who repeatedly broke into the realm to raid women and cattle. 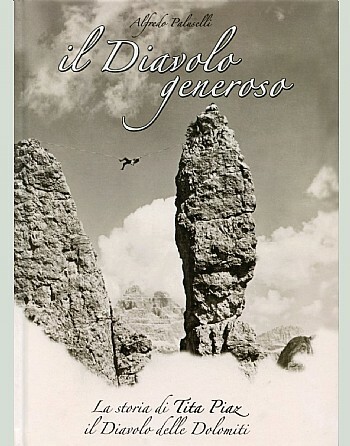 Another interesting book about Tita Piaz, the Devil of the Dolomites. At the end of the 19th century Tita is a child who walks with his mother in the mountains of Fassa. He constantly looks at the Dolomites that rise around him. He still doesn't know that when he grows up, in those mountains he will open almost fifty new routes, that at their feet he will build important refuges and hotels, that on those cliffs he will accompany kings and writers, and that he will leave a deep trace, followed then by entire generations of mountaineers and mountain men. In his life he will go through two wars and endless adventures. He will be driven by inexhaustible generosity, love for life and ideals of altruism and equality that he will never abandon. "IL Diavolo generoso" is the new book on the life of Tita Piaz. The edition is full of photographs, anecdotes, testimonies and stories of the time. An original book leads the reader to the discovery of the villages of Fassa from a unique angle: the nicknames given over the centuries to their inhabitants. Between fantasy and reality, adventures and curiosity, the mystery of the nicknames that characterize the inhabitants of the various villages is "revealed". 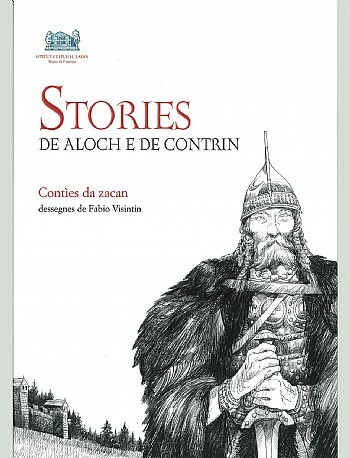 The book is in Italian, but the sound and beauty of Ladin in the variant of each village is revealed through the voice of mythological characters of the Ladin tradition. 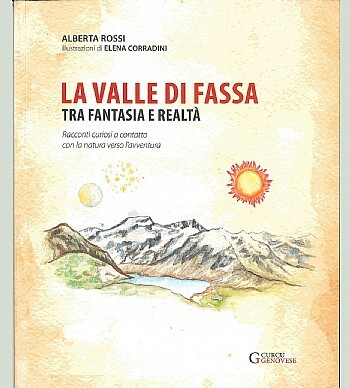 A journey to discover the Fassa valley that the reader can then continue discovering the places of the story in person with the help of maps drawn in the book and the beautiful illustrations of the art-therapist Elena Corradini. A book for adults and children at the same time and which is, as Bruna Maria Dal Lago Veneri writes in the introduction, "an excellent guide also for those who live in this valley and do not want to be just a "forester", one who just passes by. Original work from the book Piccolo diario di Caterina. 1912-1918: dalla pace alla grande guerra (ed. 1995), rare testimony of a young girl placed by history in front of the drama of war, a genuine voice that still today, a hundred years later, can make us reflect on the fate of Humanity.